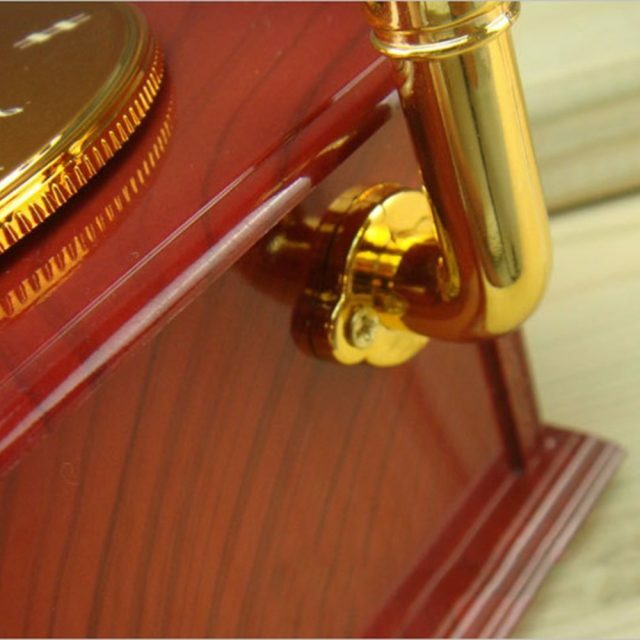 Hand crank type, no need batteries, and electricity. 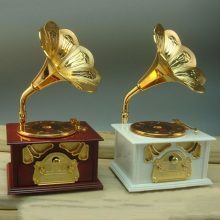 Mechanical movement without noise but nice song. 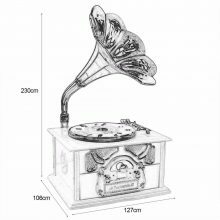 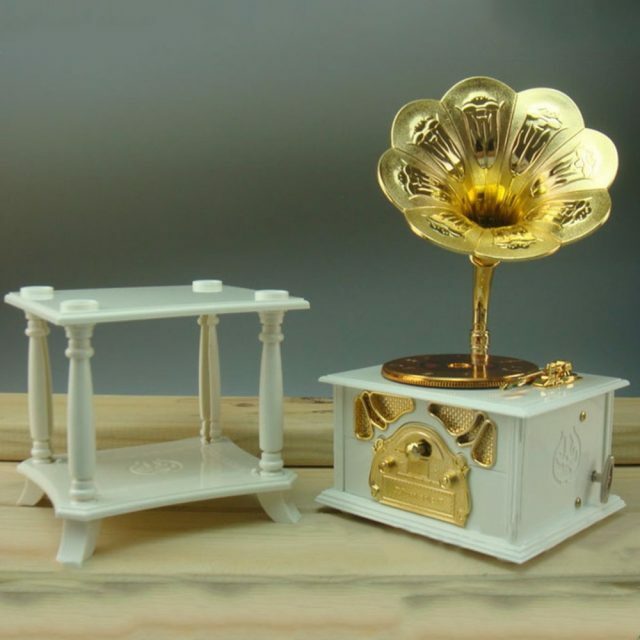 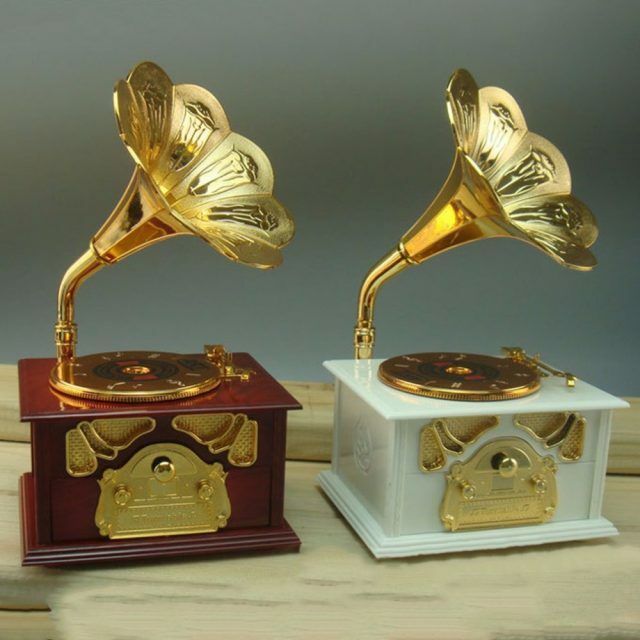 This is a lovely and classic music box in phonograph design. 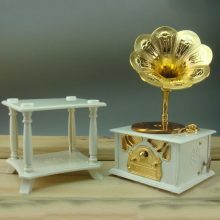 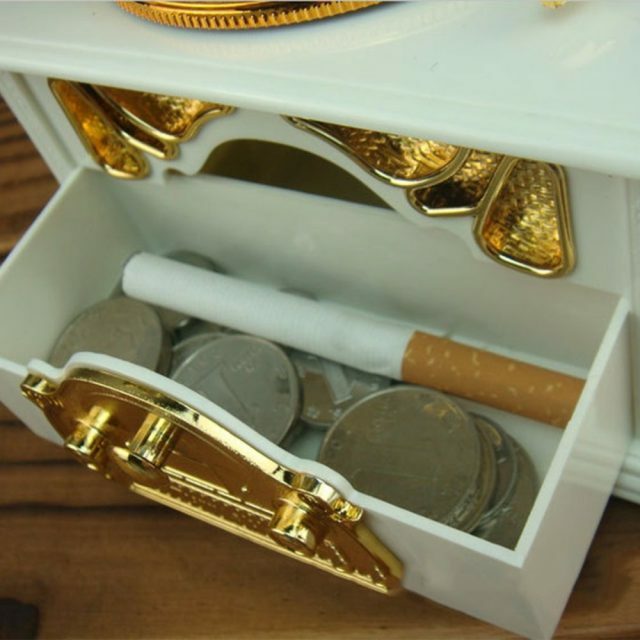 Put it in the bedroom or living room and it will be an attractive decoration. 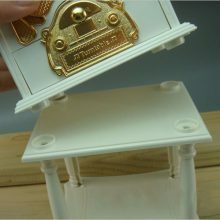 Perfect workmanship with superior quality can be given as a perfect gift for your friends.